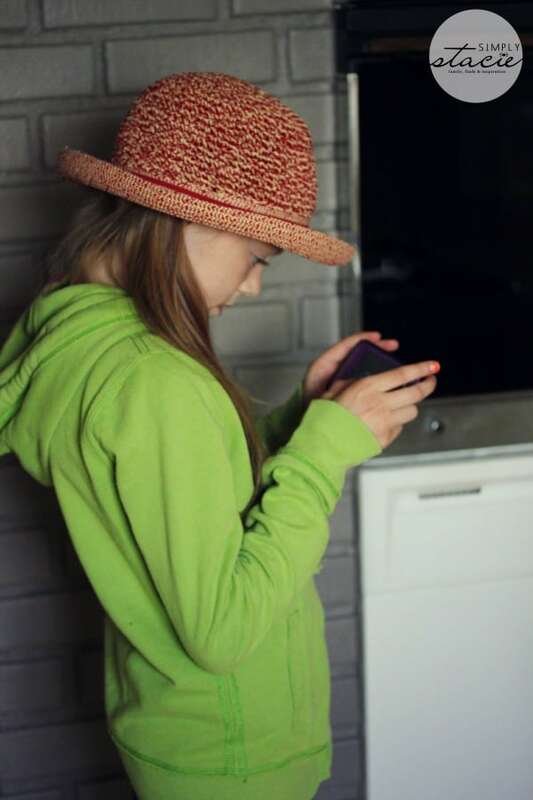 I consider my daughter, Bridget, to be a tech savvy kid. She’s a master on the iPad and even showed me a thing or two with our Apple TV. When I heard that Orbotix was coming out with a cool new tech toy, I knew it was a safe bet that Bridget would like it. Moms know best and I was right. 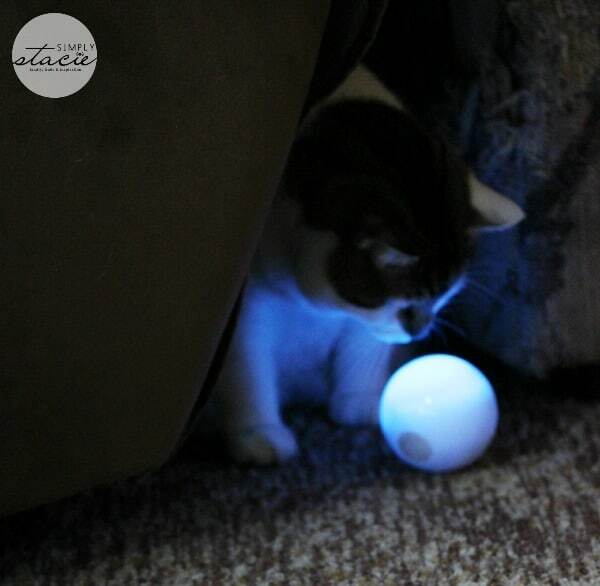 Bridget has had hours of fun playing with the innovative toy, Sphero 2.0. I was also curious to see how the Sphero 2.0 worked. It’s a million times different than any toy I played with as a child growing up in the 80s. 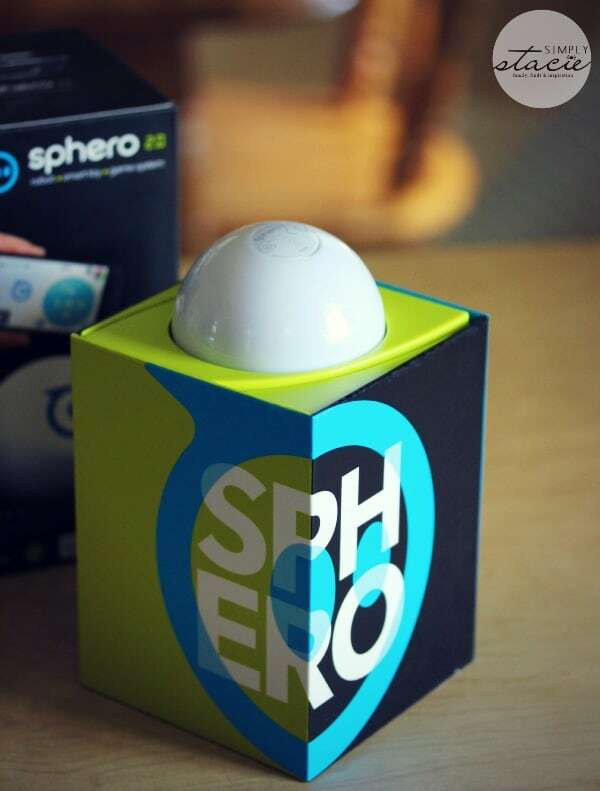 The Sphero 2.0 is a robot/toy/game system that uses augmented reality apps to bring a video game to real life. It’s controlled by either your iOs or Android device and provides the child with multiple ways to play. After charging the Sphero 2.0 and downloading the app on my iPhone, Bridget was ready to play. I had to first sync the Sphero 2.0 to my iPhone which is basically establishing a connection so the iPhone app can control the device. Once I had finished doing that, Bridget grabbed my iPhone and began moving the Sphero 2.0 all around the house. She thought it was so neat that she could control it with the iPhone and spent a good hour chasing the cat around the house. Princess wasn’t sure what to think. She investigated it closely sniffing it and trying to bat it with her paw. It was hilarious because wherever the Sphero 2.0 was, Princess was close by. She didn’t take her eyes off it. 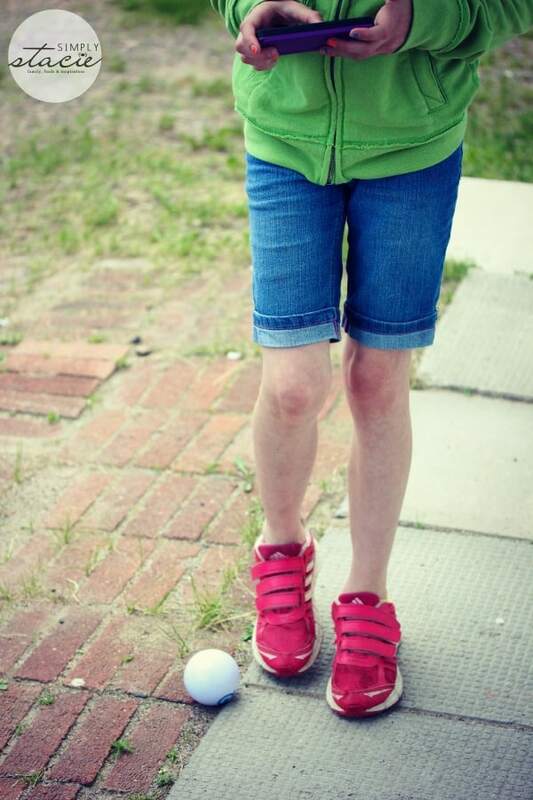 Bridget took the Sphero 2.0 outside and was moving it around the yard and over obstacles. Kids can play with it both indoors and outdoors making it a great toy to keep them busy during the summer. It also comes with ramps so your child can race the Sphero 2.0 up the ramp and try to get some air. Bridget was creating a bunch of different obstacle courses in the basement to see what it could do. The fun doesn’t end here. There’s a variety of Sphero games you can download on your devices to play with the Sphero 2.0. You can see the full selection on the Sphero site. Search by device, type of game and free/paid. You’ll see that there is 25+ free apps. Plus, kids can play with other kids with the multiplayer apps if they have friends that also have a Sphero 2.0! The Sphero 2.0 itself rolls seven feet per second and it can move! 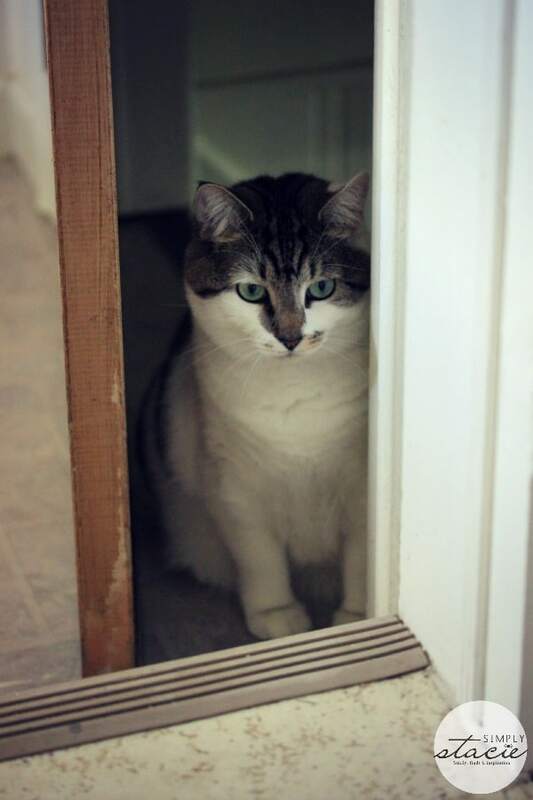 Our cat knows this all too well. It’s powered by induction charging and is 3x brighter than the original Sphero. Plus, it’s also pet proof and waterproof. Not only can kids play with Sphero 2.0, but they can also learn from it with MacroLab. 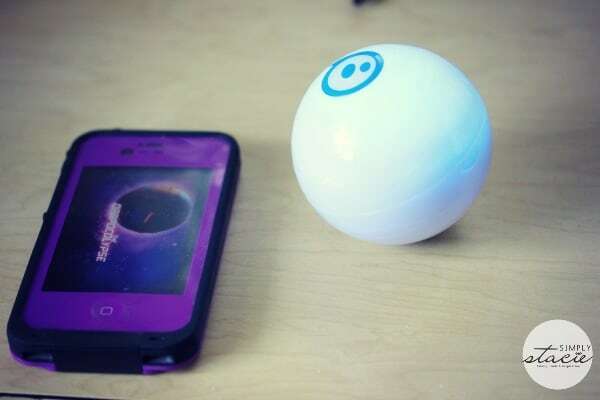 It’s an app that works with the Sphero 2.0 to teach kids about robotics, programming and math. 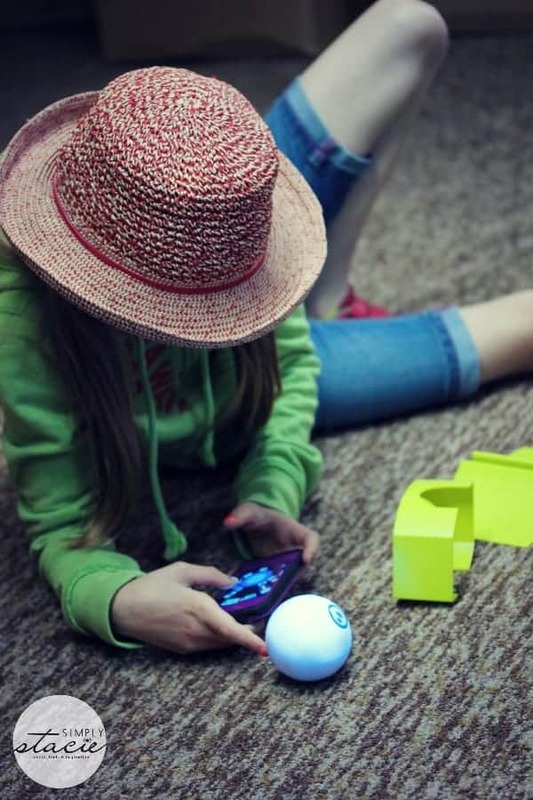 Sphero 2.0 is recommended for children age 8 and up. You can buy from the Sphero Online Store for $129.99. Bridget can’t get enough of it and even Princess is starting to get used to it. Fun for kids and pets? Sounds like a winner to me. Connect with Sphero on Facebook, Twitter, Google+, Instagram, Pinterest and YouTube. Been following these since they first came out and my head cannot wrap around how thy work, sure is interesting! Ive never heard about this product, very interesting! My boys would love this, and my dogs would run scared! This looks like something our whole household would have fun with! Looks like a great idea for a xmas gift for one of the younger people on my list! This is going on the xmas shopping list! I’ve read a ton on this it looks like hours of fun for everyone. This is such a cool little gadget that I’m sure will be on many lists for Christmas!! Love how Princess got in on the action. It’s amazing all the technology and high tech “toys” out there. I’m sure several people will be wanting this…kids and big kids. These are so cool and seem like so much fun. I just really have been trying to win one for a long time now lol but no luck! This looks like so much fun for the entire family including our 2 kitties! This is a fun piece of tech. 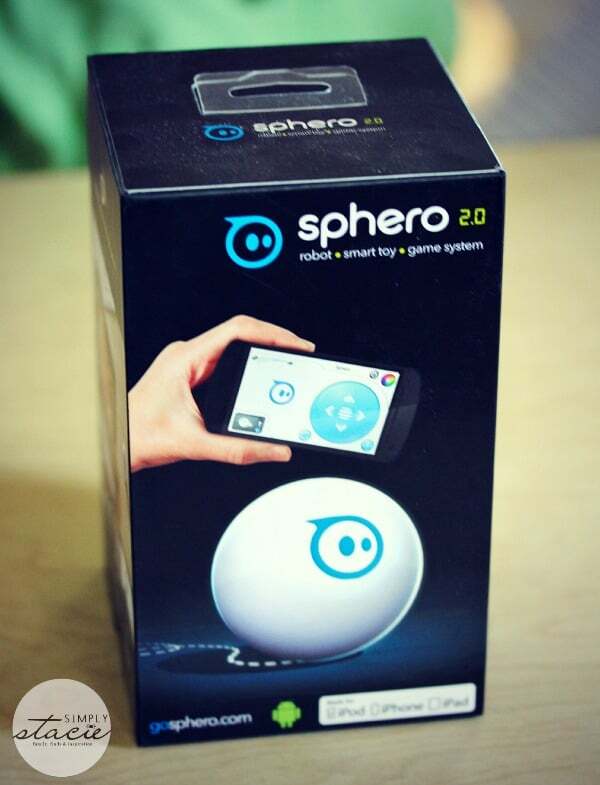 Children can use Sphere 2.0 to play, but they can also use it to learn robotics, programming, and math. It’s always great when games have a learning aspect as well. Thank you for sharing this review. Interesting and quite a challenge to find how it would really fit in to play time with the kids but the idea of playing with the cat might come in handy! The kids would really enjoy this!